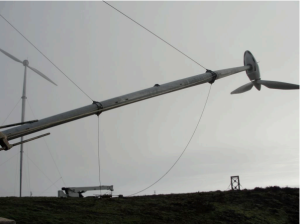 Chatham Islands Wind Farm - Acoustic Engineering Services provides measurement, design advice, and expert evidence in the field of acoustics and noise control. In 2008 the Chatham Islands Enterprise Trust embarked on an ambitious project to reduce the islands dependency on expensive fossil fuels. AES were engaged at an early stage to undertake an assessment of environmental noise effects in relation to the wind farm proposal. While the majority of the island’s residents were strongly in favour of the proposal (as the only other electricity supply was via diesel generation at a cost 5 to 10 times that for the rest of New Zealand) a rigorous consenting process was followed to ensure any adverse environmental effects were identified and managed. A unique feature of the proposal was the use of demountable turbines, which could be lowered in the event of extreme weather conditions – as shown in the image on the left. However such turbines are also more likely generate unusual sounds from time to time. 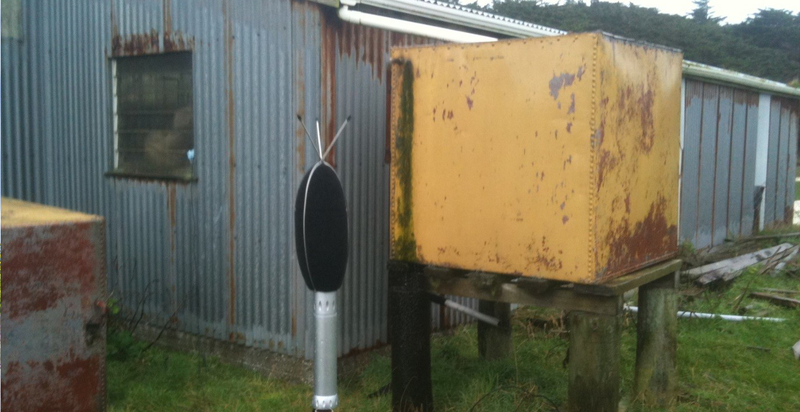 The initial assessment undertaken by AES concluded that any associated noise would comply with the limits outlined in the relevant New Zealand Standard. However before the wind turbines were operational the Conditions of the Consent required measurements of the existing noise environment to be undertaken. While a site visit was therefore required for initial installation of the equipment, by thinking outside the box AES were able to arrange to retrieve the equipment remotely, and also conduct subsequent verification testing while minimising further expensive travel to the island. Analysis confirmed that the wind farm complied with the noise limits by some margin. The Chatham Islands Wind Farm has now been supplying 260 residential and commercial customers with more affordable electricity for over 5 years.